Dealing with future drought – Earthlimited | Earth Limited? 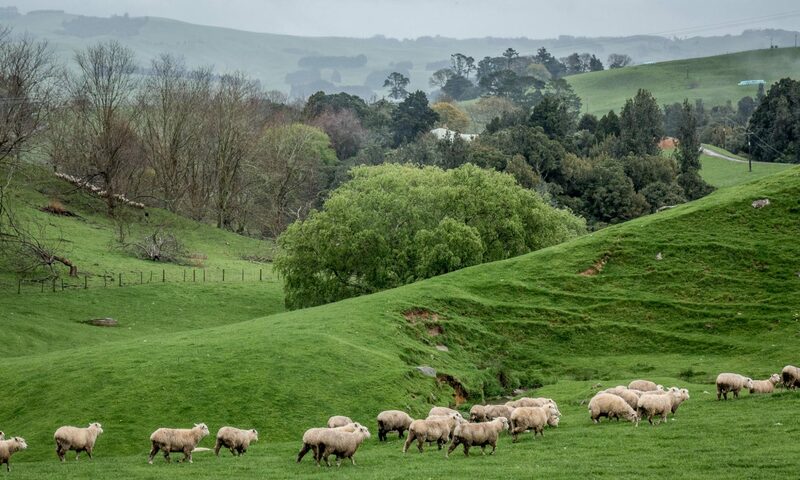 Here’s an opinion piece that I wrote for stuff.co.nz last week; my thoughts on how climate change and the prospect of more droughts in New Zealand’s future might reshape farming in this country, and how those changes might flow through to wider society. For more than twenty years I have worked professionally on the ‘what ifs’ of climate change, focused mostly on what it might mean for agriculture. I’ve done this work in New Zealand, Europe, the PacificIslands and Asia. During that time I have experienced the progression from the hypothetical to real world responses. Climate change, particularly as experienced through more frequent drought and flood events, is increasingly influencing what farmers are doing in many countries. It is not clear whether this is yet the case in New Zealand although I suspect so. With a record summer drought just behind us, and with negative and positive effects that will continue to unfold for farmers, it is relevant to ask ‘what if we get more frequent and intense droughts in the future? How might farming change and how might those changes affect wider society?’ To help guide our thinking and acting for the future it is instructive to firstly look to the past, not just in New Zealand but to other societies and civilisations that have entered periods of more frequent and intense droughts. Focusing back on present day New Zealand we have seen a strong move towards intensification of farming over the last twenty years. This was well documented under the former Parliamentary Commissioner for the Environment in the ‘Growing for Good’ report. Two obvious examples of this intensification are the increased focus on irrigation and the huge increase in use of urea fertiliser. The lesson from Tiwanaku is that it would be unwise to simply put our faith, and a huge amount of debt for infrastructure development, in more large irrigation schemes. This is not a matter of cockies versus townies. Agricultural intensification in New Zealand has been fuelled by our collective demand for consumer goods. We can’t criticise the negative things we see with farming without looking at our own behaviour. And that gets to the crux of what climate change requires of us all; behaviour change. Simply put we’re increasingly living beyond our means and the capacity of our land and water resources to sustain our wants. What’s the alternative then? Since 2001 I have worked on documenting positive things farmers are doing that are relevant in terms of building resilience to climate change. This includes increasing numbers, still a minority, who are shifting to biological soil management; changes in pasture species and management with a focus on longer covers (not grazing the grass so hard) and greater rooting depth; changes in stock policies aimed at greater flexibility; a focus on greater soil moisture retention; fencing of riparian areas; on-farm water storage; planting trees for multiple benefits; fencing remnant native bush and putting them into QEII Trust covenants. We already have the ingredients for smart, resilient, farming systems. The future vision I have for farming in New Zealand is consistent with Colin Tudge’s Campaign for Real Farming. In a New Zealand context this would involve developing a ‘Food First’ policy to ensure that the basic food needs of all within New Zealand are met for now and for a future with climate change. We then export the surplus. This would be founded on low carbon farming systems that are a functional part of, and working within the natural constraints of, local environments. There is a lot of unrealised ecological potential in this regard, which is strongly linked to unrealised economic potential.